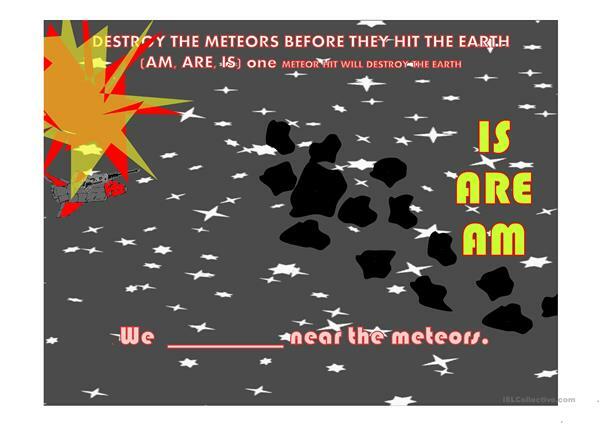 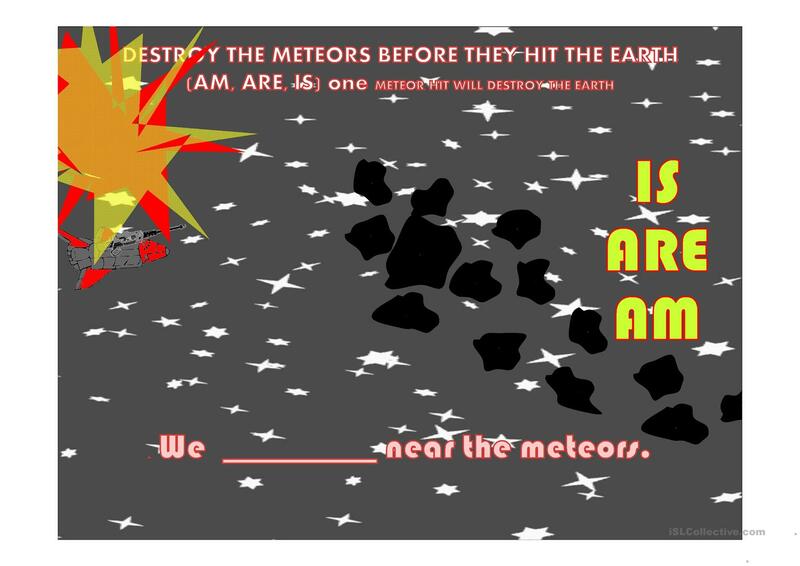 Questions will pop in (60 questions 3 slides) and a student must click on the correct answer or the earth will be destroyed by the meteors. The present downloadable printable is meant for high school students and adults at Pre-intermediate (A2), Intermediate (B1) and Upper-intermediate (B2) level. 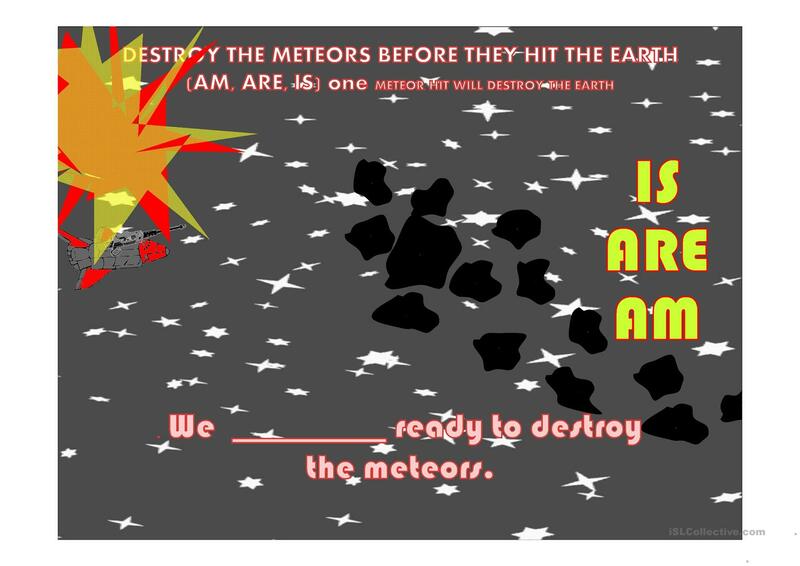 It is aimed at practising Causative in English.